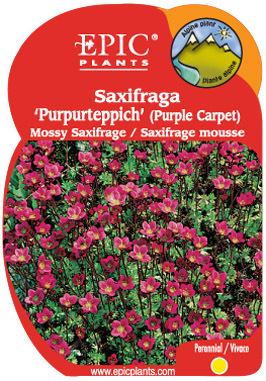 Produces a mounding carpet of mossy foliage from which thin stems arise carrying bright red flowers. Requires a moist but well-drained soil. Add a little sand to centres that 'melt out' in summer.